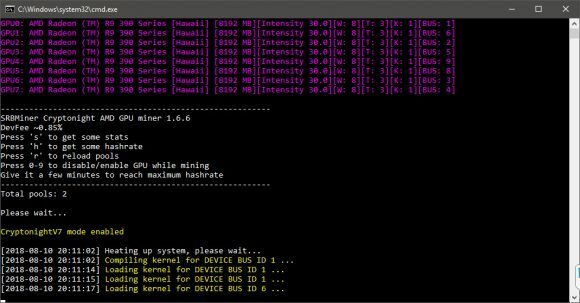 There is an update for the popular CryptoNight AMD GPU miner SRBMiner that brings some fixes and improvements, though this time no new algorithms are being added in version 1.6.6. The most interesting new feature in the latest version is the algo/coin switching protocol currently in beta, though you should know that in order for this to work the pool must support it. There is just one pool at the moment that supports the new switching protocol and that one is Monero Ocean that supports 9 different CryptoNight-based coins at the moment. 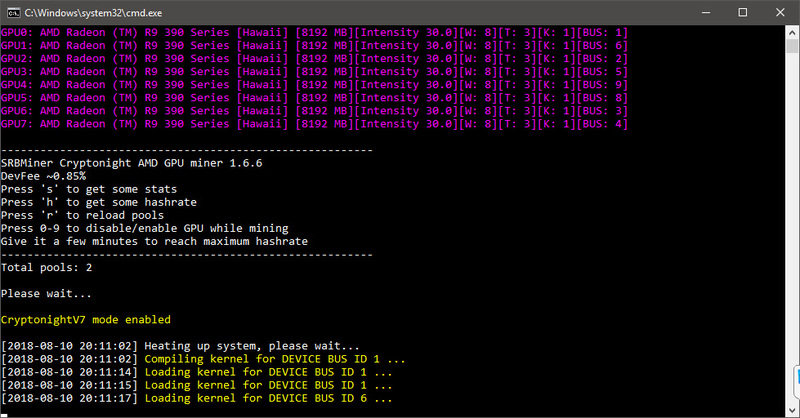 To enable this new mode you need to add the --usealgoswitching parameter in your command line for running the miner. The fee for using the miner in algorithm switching mode is ~0.91%. The only not so great thing about this new feature however is that when a switch of the algorithm/coin is happening the miner is being restarted, so it takes some extra time to start mining for each switch. You can find what are the other changes, new features and fixes below.